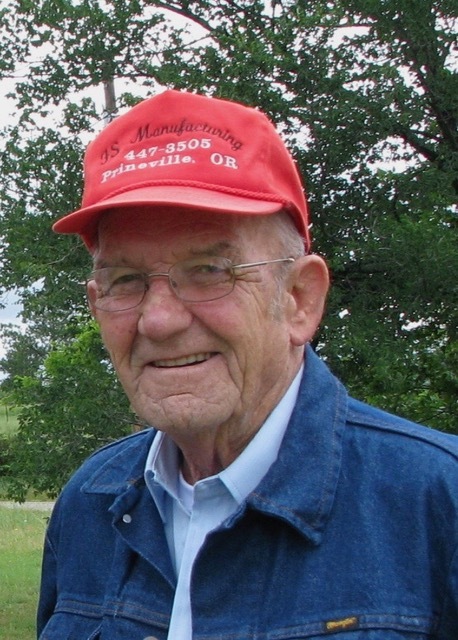 Joe Harold Harkey, age 84, of Prineville, passed away Wednesday, March 27, 2019. A Graveside Service will be held on Saturday, April 6 at 10 a.m. at Juniper Haven Cemetery in Prineville. Joe was born in Miller, Oklahoma, to parents Morris and Edna (Latham) Harkey on May 21, 1934, and grew up in the Antlers, Oklahoma, area. He was badly injured on April 12, 1945, in one of the most devastating tornadoes in the history of Oklahoma and spent 14 months recovering in a children's hospital. Everyone in his family was injured, his paternal grandmother was killed, and all that was left of the family home was the front steps. At the age of 19, Joe moved with his family to Prineville. He soon met Glenda Gerardo, and they married in March 1956. In November 1956, he was drafted into the Army and completed Basic Training at Ft. Hood, Texas, and was then stationed in Germany until receiving his Honorable Discharge in November 1958. He and Glenda had three children, Lynn, Elisa and Lonnie. Joe worked at the Union 76 Station in Prineville in the late ‘50s and also owned a Union 76 station in Madras in 1960-61. Joe went on to work at Consolidated Pine in Prineville until April 1976, when he went to work for the Ochoco Irrigation District. He would work for OID until his retirement in May 1997. Joe and Glenda divorced in 1978. He married June (Rose) Simonson in 1980. They were married until she passed away in October 2011, a few days following their 31st wedding anniversary. Joe was passionate about vintage cars. He always found a way to work the subject into a conversation and was quick to show anyone who showed the slightest interest pictures of the cars that he owned. As a frequent patron of the Tastee Treet, he enjoyed visiting with other “regulars,” discussing the events of the day, watching the cars go by and often commenting on this model or that … or the way that people drove. In his younger days, he enjoyed horseback riding and snowmobiling with family and friends on winter weekends. He loved Country and Western music, and the radio was seldom turned off. He will be remembered for his easy, welcoming smile and his kind, friendly way. Joe was preceded in death by his parents, Morris and Edna; his first wife, Glenda; and his second wife, June. Joe is survived by his sister, Clara Belle McGee, of Prineville; brother, John “Pete” (Shirley) Harkey, of Prineville; son, Lynn (Natalie) Harkey, of Ashburn, Virginia; daughter, Elisa Harkey, of Prineville; son, Lonnie Harkey, of Vancouver, Washington; step-children, Terry (Jan) Simonson, Judy (Steve) Morton and Melody (Jim) Huitt; and his grandchildren, Dylan Jolley, Nicholas Jolley, Jarod Jolley, Cassandra "Cassie" McBride and Chelsea Harkey; and numerous nieces and nephews. He is also survived by his long-time companion, Florence Neuschwander.